Whether you are a student that needs your stuff moved, or a family that is moving a household we will carefully move you to your new place. Mikes Moving has been Tallahassee’s Movers since 1993. With our experience and moving expertise, we are the best choice for moving your belongings in Tallahassee, in north Florida or anywhere in the country. Let us give you a quote to move across town or across the country. Business, residential or students, we can move you to your new home or office location. Mike’s Moving Tallahassee and Go Mini Portable Storage, (an economical alternative – compare to pods), started over 25 years ago with hard work and a commitment to quality moving in Tallahassee and relocation and movers of your household furniture. 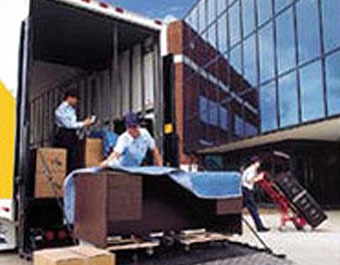 Mike’s Moving Tallahassee has worked relentlessly to earn a good reputation for providing quality moving services in Tallahassee and surrounding areas. Employees at Mike’s Moving Tallahassee are put through extensive training to be efficient, skilled, courteous and expert movers in Tallahassee. Mike’s Moving and Storage relocates thousands of people each year, but we never forget that each move is important to our success. We have become the top moving company in Tallahassee, North Florida and South Georgia. Mike’s Moving operates out of locations in the Tallahassee, Florida area for your convenience but we transport anywhere in the Continental United States. We are proud to say you can trust Mike’s Moving Tallahassee and Go Mini Portable Storage (compare to PODs) to successfully move and relocate your home or business. Lowest prices guaranteed! Registered Tallahassee Florida Mover #IM3. We have proper licensing and authority to take you anywhere in the United States. 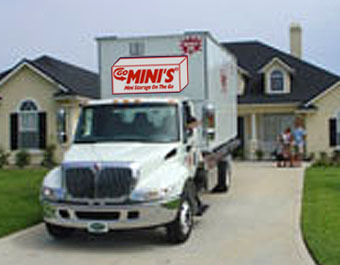 Remember the best mover for all your moving needs is Mike’s Moving and Go Mini portable storage. Mike’s Moving Company serves customers locally in Tallahassee / North Florida / South Georgia, and throughout the United States. Our turn-key moving services include experienced movers, packaging, wrapping, boxing, and carefully padding your belongings and furniture to make sure your things get there completely intact and with virtually no damage. Since 1991 we have been a family owned and operated company. Mr. Mike Vaughn started with a couple of trucks and a vision to help people in Tallahassee move easily. Mike’s Moving has been serving the community ever since. Now with over 25 years in the moving business we are at the top of the game. Certified and insured Tallahassee movers, Mike’s Moving takes each job seriously and takes great lengths to satisfy every customer. 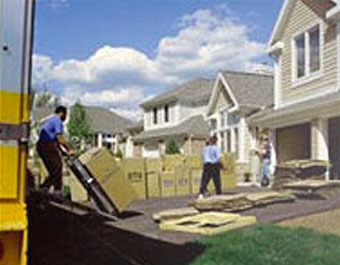 We are dedicated to providing exceptional moving services that are trouble free. Our experienced movers are guaranteed to get the job done with minimal inconvenience to your workplace or home. Our expert staff is customer service oriented with a focus on customer’s needs. We have a long history of very satisfied customers and have formed some great relationships during this time. Give us a chance to be your moving company and you will be glad you did. Thanks Tallahassee for voting Mikes Moving and Mikes Limousine Service Tallahassee’s best! I absolutely love it when you can win awards like this and didn’t even get to vote for yourself.. Thanks to all of the readers of Tallahassee Magazine for casting your vote and making us number one.